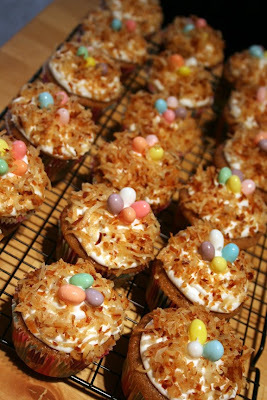 They are carrot cake cupcakes with vanilla bc dipped in toasted coconut. With jelly beans on top. These were really easy and fun to make! And tasty! Your cupcakes are gorgeous and adorable. Keep up the creativity, it rocks!